When I speak about relationships and the workshop I do, I’m not just referring to boyfriend & girlfriend or husband & wife relationships. I’m speaking about ALL RELATIONSHIPS. You are in a parent/child relationship. You are in a family relationship…you have sisters, brothers, cousins, aunts, uncles, Grandparents. You are in co-worker relationships. You are in a co-parenting relationship. All the relationships in your life are important to God. He wants you to be in healthy & loving relationships all around. 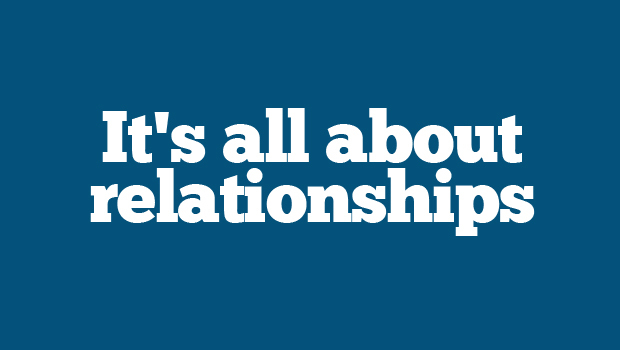 I’m reminding you of this because I want you to look at the relationships you have or don’t have. I’m reminding you of this because I want you to examine how you get along with others in your life. If a relationship is divided or broken, strained or unhealthy, compromising or just plain wrong….as People of God we must seek God in how to make it right. If it means you need to forgive…forgive. If it means you need to say I’m sorry…say I’m sorry. If it means that you pray for them and move on…pray for them and move on. God has commanded us to love one another. Relationships are important to God. And the devil knows that if he can cause strife and division in them, he can stop a nation, he can be a hindrance to the move of God. DO NOT ALLOW HIM TO HAVE THAT POWER!!! God wants to do something in that relationship…why do you think you were in it in the first place? But now, NOTHING can happen because you’ve allowed the devil to come in and make you hate each other. Ya’ll can’t even talk to each other anymore! For many of us…we need to ‘clean house and rearrange things’ within ourselves so we can be at a place to create and maintain healthy & loving relationships. But many of us don’t think we need to. We think all is well. We are ALL overdue and in need of learning better ways to love ourselves and others. Life around us is evolving everyday…yet we stay the same. Just something to think about…and get in touch with me about my next workshop.